How middle-market companies can unlock trapped value from their organizations. Download this FREE 16-page e-book to learn how you can leverage technology to drive your business forward. What is Digital Transformation (DX)? Technology continues to disrupt all industries, creating unprecedented challenges and opportunities for all businesses. Digital transformation (DX) refers to how an organization transforms itself using technology. When it comes to digital transformation, most companies find themselves in one of two camps - they're either leveraging technology to disrupt their industries or are defending their core business from disruption. In reality, there is a third camp of companies who live under the illusion that their company/industry is not impacted by technology. So, they cling to how they've always done business. If we go by recent history, these companies will either go out of business or lose a significant portion of their market share to their competitors. Statistics shows that digital transformation is now a business imperative and is the focus of most forward-looking companies. Of CEOs in Global 2000 companies will have digital transformation at the center of their corporate strategy. Of CEOs feel they have 2 years to make digital transformation progress before suffering financially or falling behind competitors. A common myth is that digital transformation is all about technology. While technology is a very important piece, we believe that companies who obsess over technology, miss the bigger picture. Digital transformation is not about digital. It's about the transformation. We think that the "transformation" is first and foremost about becoming a more customer-centric company. And, “digital” is the catalyst that enables new ways for companies to engage and delight their customers. Whether it is Amazon, Google, or Uber, "customer-centricity" is a common value shared by market leaders across industries. These companies understand their customers better than their competitors and innovate faster with products & services that their customers love. At ProductStack, we've developed a Digital Transformation Framework to provide a holistic structure for assessing an organization’s digital strategy and digital maturity. Organizational Culture: Transformational change is hard for any organization and its people. To be successful, leaders must create a culture that can support and drive this change. This is the hardest thing companies face as they embark on a digital transformation journey. Business Models: A business model describes how a company makes money. Often new technologies, societal shifts, and macro-economic trends create new opportunities for companies. For example, look around and see the opportunities the internet or mobile technologies have created. What can you do with your business model to transform your business? Customer Experience: As outlined in the previous section, digital transformation at its core is about becoming a more customer-centric company. What can you do to make it easy for your customers to do business with you? Internal Operations: Companies cannot deliver great value to their customers or build a profitable business if they haven't fine-tuned their internal operations. What can you do to make your internal operations more efficient? Do the company policies, procedures, and organizational structure encourage the behaviors expected from the employees? Technology: Companies need to either build internal capabilities or partner with companies so that they can leverage technology to innovate, grow revenue, and improve customer experience. Is your organization building these digital capabilities fast enough? People & Skills: At the heart of any effort to change an organization are its people and digital transformation is no different. What are the skills your employees need to serve your customers and do they have them? Are there skills gaps that must be addressed? As you can see, successful digital transformation requires a lot more than just technology. In fact, technology is often the easiest part of the transformation and changing the culture is the hardest. Organizational culture is the invisible force that manifests in how people behave in an organization. The right culture acts as a lubricant that aligns employees and encourages the right behavior to serve the customers. Conversely, a poor culture results in organizational friction, making it hard to get anything done. Leadership: Digital transformation will impact every aspect of the business and therefore must be a CEO agenda. This doesn’t mean that the CEO must be an expert in technology. Rather, it means that the CEO must lead the vision of how this transformation will help the company improve its operations, grow revenue, and improve its competitive position. Vision: Humans are naturally resistant to change, and companies need a strong and inspiring vision that succinctly communicates “why” they must change. If your company already has a vision, then this will be a good time to revisit it and evaluate if it’s still clear and inspirational. Once defined, it will act as the ‘North Star’ that guides your team’s strategy and execution. Customer-Centric: Digital transformation is fundamentally about building a more customer-centric company. This means that your team must understand how your products and services help your customers achieve the outcomes they seek. Then, it requires you to pay attention to the customers’ journey with a goal to systematically remove any points of friction. Cross-Functional Collaboration: Becoming more customer-centric requires a company to re-architect every aspect of their business. That’s why every department must participate in this process. Think of it like a well-crafted stage show—there needs to be a precise coordination between the front-stage or customer-facing activities and the back-stage operations or employee-facing activities. Lean & Data-Driven: Every transformation effort has underlying risks and companies must embrace a Lean and data-driven approach. This requires teams to always be identifying the underlying risks and conducting experiments to mitigate them. Then, based on the learning from these experiments, teams can change the future course of action. Digital transformation is hard because to be successful it requires changes to almost every aspect of an organization. Unless you're a startup, these changes won't happen overnight. Therefore, it is useful to think of digital transformation as a journey and not a destination. LAGGARDS: Laggards are companies who have not invested in digital capabilities and are faced with increasing competition and reduced profitability. SHOTGUNS: Shotguns are companies who have made one-off, tactical digital investments in their businesses, often without a cohesive strategy. DEFENDERS: Defenders are companies who are working on making their existing business model better by focusing on gaining operational efficiencies or improving customer experience. INNOVATORS: Innovators are companies who are growing their existing businesses by bringing new products and services to existing customers and/or reaching a previously un-served market segment. DISRUPTORS: Disruptors are the visionary organizations who are innovating new business models to fundamentally change the economics and structure of their industries. It is possible and quite likely that in larger organizations different business units are at different levels of maturity. Start this process by documenting your current business model(s). At its core, a business model describes how a company makes money. For this, use the Business Model Canvas, which is a visual representation of the key elements describing a company’s customers, value propositions, and underlying pieces of the operating model. If your company serves multiple customer segments or has multiple products and services, you’ll create multiple business model canvases. But, your company doesn’t exist in isolation—it is constantly shaped by its environment, including the markets you serve, competition, technology, and industry trends. As you document your business models, analyze the internal and external landscape to document the key challenges facing your company. For example, is the profitability of your business going down? Is it becoming harder to scale operations? Are your customers choosing your competitors? Is there a new competitor who’s gaining ground? In this step, your team will define the business objectives that your company will pursue, which will largely depend on whether the leadership’s outlook is to defend their core business or to expand into new areas. We recommend that you use the OKR (Objectives and Key Results) framework. OKR is a goal management framework which was invented at the Intel Corporation by Andy Grove and is widely used amongst the biggest companies in the world like GE, Google, and Microsoft. In the OKR framework, the Objectives are the qualitative description of what your company wants to achieve, and the Key Results are the quantitative measurements of your progress towards those goals. Choosing the right objectives and appropriate key results is one of the hardest things to do in business. The important thing to keep in mind is that you must go beyond broad statements about improvements to define exactly how to measure success. 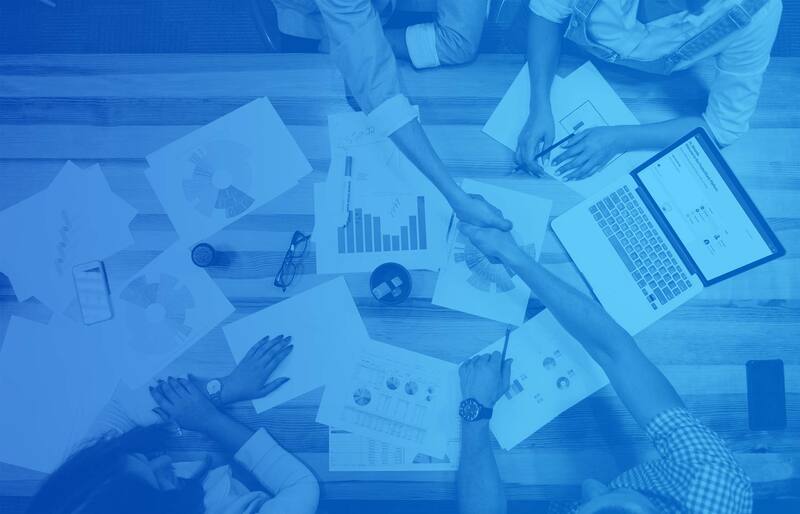 Enable More Efficient Operations: [DEFEND] How can you empower your employees to do a better job for customers and make your internal operations more efficient and customer-centric? Improve Customer Experience: [DEFEND] When your customers’ do business with you, how can you make their experience easy, painless, and enjoyable? 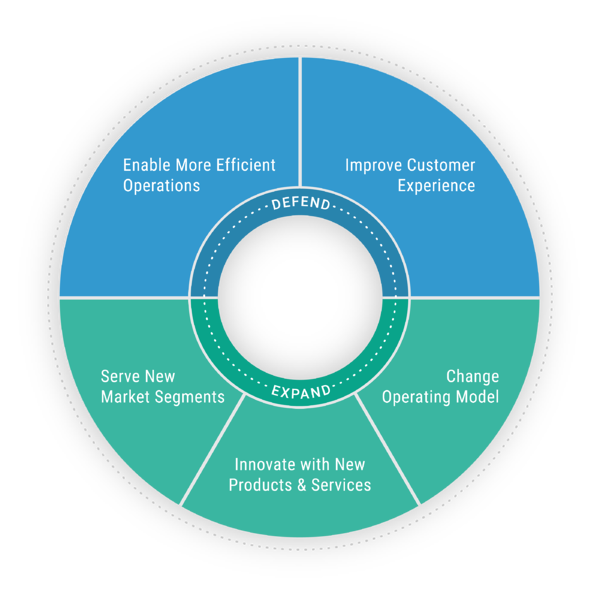 Change Operating Model: [EXPAND] What can you change in your operating model (how a company delivers its value proposition to its customers) to make it more profitable? Innovate with New Products and Services: [EXPAND] Can you help your existing customers improve the outcomes they seek by offering additional products and services? Serve New Market Segments: [EXPAND] Can you serve new market segments with existing or new products and services? At the end of this step, your team will have an “Opportunity Backlog” of ideas that have the potential to transform your company. Tip: Brainstorming is a right-brain process. During this step, encourage “divergent thinking” with your team members where the goal is to come up with as many ideas as possible, irrespective of their value or feasibility. In the next step, you will apply “convergent thinking” to prioritize ideas. In this step, your team will prioritize the Opportunity Backlog to uncover the highest priority ideas and then build an execution roadmap. It’s normal for an Opportunity Backlog to consist of ideas that range from incremental to radical. Prioritizing them might seem like comparing apples to oranges—how do you compare ideas for small improvements to market-busting ideas that might require big investments? This is where the Three Horizons framework proposed by McKinsey & Company comes in. In this model, Horizon 1 refers to incremental innovation that protects your core business. Horizon 2 consists of ideas that build on your existing business to generate new revenue opportunities. Finally, Horizon 3 consists of the “moon-shots” where your team is inventing the future. The Three Horizons framework takes a portfolio model to innovation which states that a company must diversify its investments across these 3 horizons to ensure sustained growth and relevance. Each horizon has a different level of risk, demands a different mindset, and requires different levels of investment. Take each idea and score it on business value, effort, time-to-market, and risk levels. This is where your team must attach the right weights for each parameter based on your OKRs to come up with a weighted average score for each opportunity. Armed with a prioritized opportunity backlog, the team should be able to sequence the opportunities to create a transformation roadmap. There you have it! This is ProductStack's Approach to digital transformation. We hope that you find value in our approach and embrace it so you can build a more competitive and profitable business. But remember, digital strategy is just the first step, the real work is ahead of you - disciplined execution. All the best! 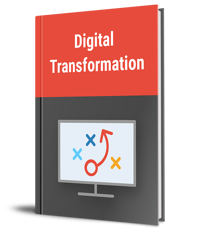 If you want to learn more about digital transformation, check out our "Comprehensive Guide to Digital Transformation"
A journey of a thousand miles begins with a single step. Start your digital transformation journey with a FREE 2-hour consultation with Rahul Mohan, CEO, ProductStack. 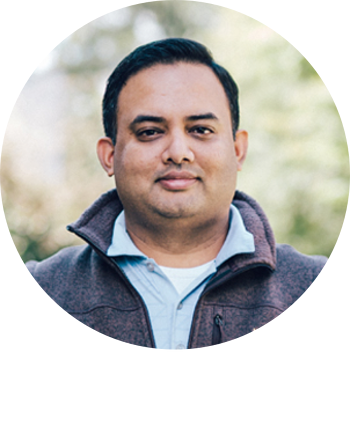 In this deep-dive conversation with Rahul, you will refine your business ideas or challenges, and walk away with clear next steps. Copyright © 2018 ProductStack. All Rights Reserved.